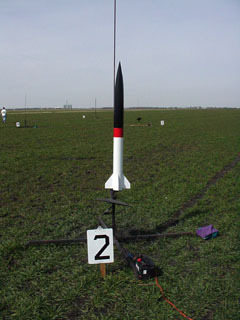 The PML Explorer is a good rocket for a Level 1 project. What's a Good Level 1 Rocket? There are plenty of good choices from a variety of manufacturers. My recommendation is the much overlooked PML Explorer, with a 29mm or 38mm motormount. For some baffling reason, experienced rocketeers forget the "keep it simple" rule and suggest the PML Small Endeavor instead. 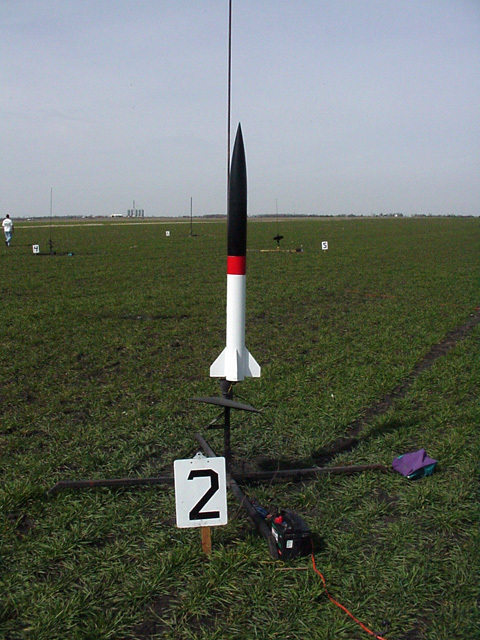 The Small Endeavor's split fin design essentially makes it a six fin rocket, which is twice the work. The forward fins' internal fillets and aligning the split fins are an unnecessary challenge for the novice. The Small Endeavor has absolutely no advantage over the Explorer and twice the liabilities. My second choice is the PML Patriot with the 38mm motormount. It's 4 inch diameter airframe gives the novice plenty of room to work with. It's really easy to stick a plastic spoon filled with epoxy inside the fin area to create the internal fillets. PML's KwikSwitch motormount adapter is great, innovative concept. However, I would recommend that novices avoid it on their first project. 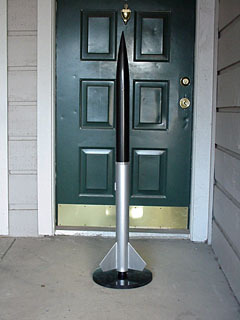 Again, if you are new to high power rocketry, keep it simple.